So relevant for our day. Not in the flesh but in the Spirit. Continuous prayer lasting over 100 years. And the name of the Lord was spread throughout our land. William Booth raised an army to fight for justice and salvation. Who will our descendants be? 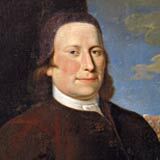 Count Zinzendorf called the Moravian Church to pray 24/7 in 1727. They prayed continuously for over 100 years. Why do we find it so hard Lord? To make a sacrifice of time to you. To build a house of prayer for your Name. To take the punishment we deserve. To follow where you call us. But when we are weak, you are strong. We are your chosen people for our time. So why do we find it so hard Lord? To be ever on the move as I strive to serve you. Yet there are so many needs to be met. Those who will battle through the tough times.